Inclinometers, also called tilt sensors are designed to measure the angle of an object with respect to the force of gravity. These tilt or level meters determine pitch and/or roll angle and output these values via the appropriate electrical interface. Inclinometers are easy to integrate to an application, because there is no need for mechanical linkages other than just the installation itself – a real advantage for design engineers. 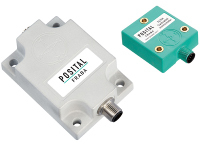 Posital developed several inclinometer types to have a suitable solution for different applications for each industry. Accurate measurement of the degree of tilt or inclination from a horizontal position is very important for many motion control systems or to ensure safety. Dependent on the application and machine it may be necessary to mount the inclinometer horizontally to monitor the tilt angle of two axes or to install the sensor vertically to measure one axis. A dual axis sensor is used for horizontal mounting and is ideal for leveling applications. This version got two outputs, one for the X-Axis and one for the Y-Axis. Each of the axes show the tilt angle with respect to the field of gravity. A single axis tilt measurement version with one axis output is intended for vertical mounting. Inclinometer offer an easy and efficient way of monitoring spatial orientation without the need for mechanical linkages – a real advantage for design engineers. Static inclinometers can significantly improve operating safety in mobile machines, platform monitoring or medical applications by continuously monitoring the tilt or inclination angles. Inclinometers are much easier and thus less expensive to install compared to Rotary Encoders, which makes them ideal for applications like solar trackers. The dynamic inclinometer outputs a clean measurement signal and can be used reliably on mobile equipment such as construction machinery, mining equipment, agricultural machinery, cranes, and anywhere else where sudden movements, shocks and vibrations are likely to be encountered. 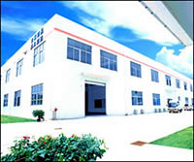 MaxDetect Technology Co.,Ltd is a high-tech company which concentrate on producing and providing sensor solutions with unique and reliable performance. Based upon the advantages of located at Shenzhen which is one of most active city in electronic industry, customers from overseas who need sensors will be fully cared by MaxDetect. MaxDetect offer humidity & temperature sensor, humidity & temperature transmitter, humidity & temperature controller, temperature sensor, etc. Choose MaxDetect, choose your specialist. From November 27 to November 29 we will be exhibiting at SPS IPC Drives in Nuremberg, the most important exhibition for the professionals in the Automation world. You can find us in hall 7A booth 146. Make sure to try out our freshly baked waffles with cherries and cream! Wiegand sensor products from POSITAL reflect the knowledge from a full decade of experience using Wiegand-effect base revolution counters. The high performace sensors are assembled using SMD mounting technology and can be used for revolution counters in absolute rotary encoders as well as in other applications, e.g. gas or water meters. Our world is moving faster and flow processes are not immune to this. Newer industrial communications protocols can deliver flow data from hundreds of flow meters in less than a second. This increased speed of data acquisition can improve your process, but the speed of your flow sensor can improve the data itself. In this post, we’ll take a look at two examples of how Alicat’s sensor speed can make your flow data better. When you need to know the total amount of a gas that has flowed, instead of just the live flow rate, the measurement speed of your flow meter becomes much more critical. If your gas or liquid is already flowing, a flow totalizer can start and stop a timed measurement to take a sample of the total amount flowed during that time period. However, when you need to know the entire amount that has flowed from start to finish, significant amounts of your data can be lost as your flow meter comes up to speed. One of the more striking examples of this came through a research application with the US Environmental Protection Agency (EPA). Alicat was contacted by an EPA researcher who needed to quantify how much gas was being emitted by pneumatic controllers at oil and natural gas well pads. At these sites, the natural gas that is already present is typically used to drive these controllers, and when they actuate some of the natural gas escapes into the atmosphere. The challenge was that most of these controllers were intermittent pneumatic controllers whose actuation periods lasted just a few seconds. A previous study had used thermal mass flow meters to totalize these emissions. However, the 1-3 second response rate of these meters meant that a significant proportion of the flow data was lost as the thermal flow meter tried to catch up with the transient flow rate. Better control your process with totalizers and alarms. In order to preserve the greatest amount of flow data, the EPA turned to Alicat’s pressure-based laminar flow meters. These instruments measure flow rates 1000 times each second and have a pneumatic measurement response time of 5 ms. With these flow meters installed, the researcher was able to follow the precise curve of the pneumatic controller’s actuation, from its explosive opening to its sudden shutting. The response speed of the sensor itself recorded much more of the available data compared to the thermal flow meter, making these measurements more accurate and reliable. The Alicat flow meter’s sensor speed was able to improve the quality of the data that the researchers obtained. You can read the resulting paper published in Earth and Environmental Sciences. Another example of the benefits of fast flow measurement comes from the realm of ambient air monitoring. The gas analyzers that measure the concentrations of greenhouse gases in the air we breathe must be periodically calibrated to ensure they are measuring these small concentrations accurately. To do this, air monitoring technicians use dynamic dilution calibrators to generate known concentrations of the gas that the analyzer is designed to measure. Because this process is dynamic, the mass flow controllers inside these dilution calibrators must also be calibrated on a regular basis. As gas analyzers have become more sensitive, the dilution calibrators have added mass flow controllers with lower flow rates, typically 10-20 sccm at the lowest, in order to simulate smaller gas concentrations. In the past, a positive-displacement (PD) flow meter was commonly used to calibrate these mass flow controllers. This type of flow meter provides an averaged flow rate that is calculated by dividing the total amount flowed by the duration of the measurement, but the very low flow rates required hid some critical data. At a flow rate of 20 sccm, such a flow meter takes about 20 seconds to complete a single measurement (see this video). At 1 sccm (the lowest point in the required 20-point calibration), the measurement time is more than 6 minutes. When a mass flow controller failed its calibration, there was no indication of what was happening to the flow rate during the long measurement, because the only recorded data came at the end of the measurement. Perhaps the flow controller was oscillating on a regular cycle, or perhaps it started out well and then got clogged. Sometimes, the fault was that the PD meter got stuck in the middle of its measurement, but there was no way to diagnose this scenario without continuously observing the meter. Learn more about Alicat’s fast flow calibrators. Air monitoring technicians in these situations have turned to Alicat’s fast flow meters to make visible the data that was hidden from the other flow meter. Because an Alicat responds pneumatically to changes in flow rates within 5-10 ms, the technicians are able to diagnose the cause of a failed calibration. When data is captured in real time, recurring oscillations that come from an underperforming mass flow controller are easily distinguished from a clog in the flow path. Indeed, when an Alicat is connected to a positive-displacement flow meter, it can diagnose failures that result when the puck of the PD meter stutters in its cylinder or when the puck takes too long to accelerate to match the speed of the flow.